The only paper fasteners I had were fancy fabric covered ones for some reason, so it looks like I've added a button or something, but it's just a paper fastener. For square paper, I used origami paper — mine is white on one side, so I glue-sticked two pieces together. It looked like they paper was buckling when I did it, but it looked smooth when folded. I used a chopstick instead of a skewer. 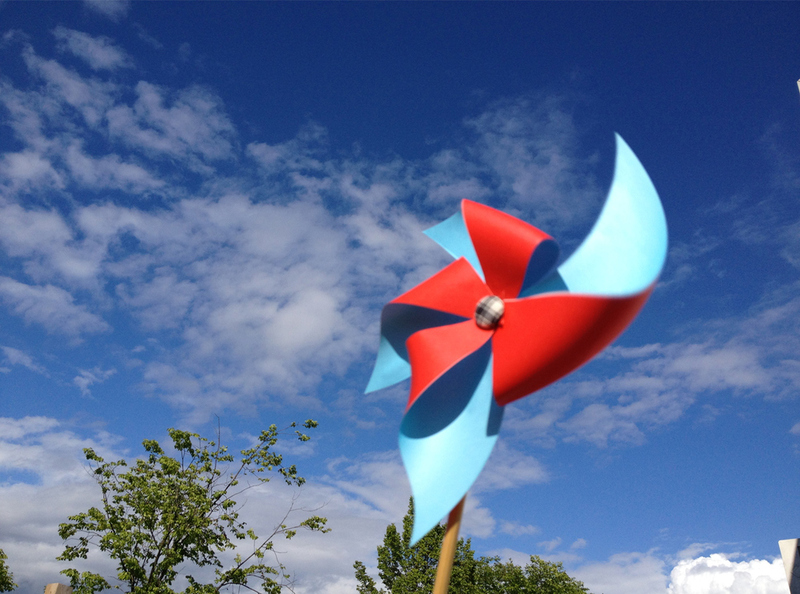 This is the pinwheel blowing like mad. This shows the fastener wrapped around the chopstick at the back. This is Windy's pinwheel from Sunny. In "Sunny", "origami", "paper", "papercrafts", "pinwheel", "tutorials", "windy"